WHAT USES DOES A3 USE CLASS COVER? 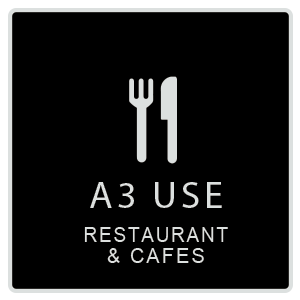 Another very prevalent use is A3 use class, which is for restaurants, snack bars and cafés. This covers the sale of food and drink for consumption on and off the premises. Where seating is provided, it denotes that it is not exclusively for take-away (these would be A5). Hot food establishments – unlike sandwich bars – need ducting for ventilation and extraction. These installations need planning permission to make sure they do not cause overshadowing or nuisance to adjacent residences (think: ‘fried chicken vent near your window’!) They also need Building Regulations to ensure safe installation. Another difference between A3 and A5 is with regards to the oven capacities, refrigeration and food storage. With restaurants and cafés, these will be more extensive (than in take-aways). Some other planning applications which Extension Architecture has done have been for restaurant refurbishments and changes of use from A3 (restaurants) use to A1 retail use, and vice versa. At Commercial Architecture, we have done many change of use applications from one of the various classes to another. Have a look at the lists of uses on the Planning Portal or on our change of use definition page for more information. Tree Stone Change of Use Project – Read on for the project trail: our client came for help with planning for their change of use application, which was to switch from a simple, un-designed butcher’s shop (retail class) to a mixed use of retail and restaurant units. So that was from A1 to Mixed Use: A1 & A3 use class. The Concept: the idea is that you can buy your meat then take it across to the restaurant to be cooked for you. It is not the first of its kind in London but tends to be more common in their native land; Korea. Some clients will buy their meat and take it home, and others will go to the restaurant without buying fresh meat; thus creating 3 options for their clients. Our Design Brief: as well as the change of use application, we did interior design and branding for them. Apart from the request for natural materials, the client did not specify any design brief or colour scheme, apart from their preference for natural elements. We thought of wood and stone, which led to their new name: ‘Tree Stone’. The new space for retail was designed and branded according to the client’s preference for natural elements. This area is so appealing that it made the butcher aspect more classy, meaning they could pitch to a slightly wealthier clientele and increase their prices a little. The restaurant concept was a new addition, adjacent to the vending section. This was also a beautifully designed space to complement the sale area. We put a lot of thought into the design theme, even running the pipes like tree branches. Also some of the detailing on the shelves repeated the twig motif, and the leaf concept was featured on our logo design for them. For some of the interior, we used faux stone and some of the menu-holders etc are made of faux wood, along with natural wood and industrial metals. The food is served on slates, and overall the look has blended seamlessly, and the client loved it. How we can help you: do you need a London architect to help you create drawings for your change of use application? We also have planning consultants within our team, so our approval rate is high. As part of our service, our architectural designers can submit your application to the council and liaise with them throughout the project. There is no extra charge for their time, and they will just add the council fee to your drawings invoice. For more information on changes of use, have a look at the Planning Portal’s page on the subject. We have extensive experience of submissions, including a variety of change of use applications. Give us a call today for a free consultation and quotation. A great way of winning approval from the planning department for your project is to use our 3D Immersive Design package. These visuals are photo-realistic and are useful to see your refurbishment before it happens. They are also handy to see if you wish to try other design options or materials at this point. For some examples, please see the link above. We can also help you with Interior Design. Have a look at some of our case studies here, for examples of A3 use class and other classes from A1 to D2.